Update 1.12 is now available to download for Gran Turismo 6. 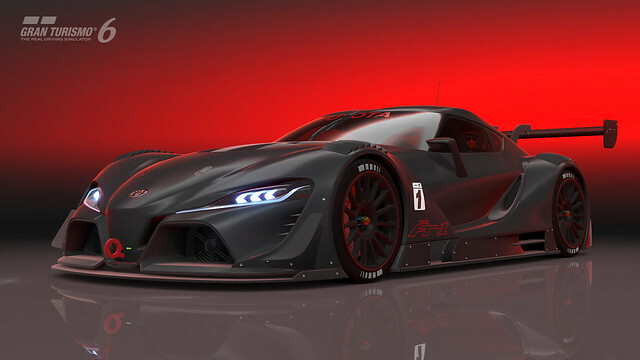 The "TOYOTA FT-1 Vision Gran Turismo" has been released on “Gran Turismo 6″, available exclusively on PS3. The design concept FT-1 is honed to perfection in this rendition to enhance its features and designs required for pure racing competition. The designers' original intention in designing the FT-1 was to unabashedly appeal to the die-hard car enthusiasts. This car can be earned by completing just one lap (regardless of lap time) in the new limited time FT-1 Seasonal Event. 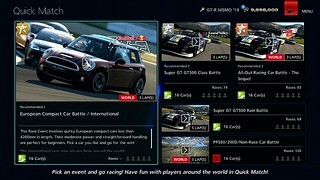 Quick Match is a simple online racing mode that lets you take part in events with pre-determined regulations. 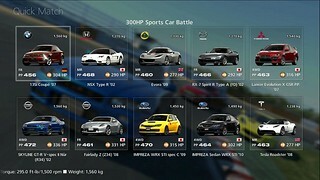 When each individual event is entered, player matching takes place automatically, followed by the race itself. By selecting "Quick Match" from the My Home screen you can now quickly and easily join a race with players around the world. In our first original long course "Circuito de la Sierra" modeled after the Ronda region of Spain, players will attempt to complete a lap around the course within the allotted time. The time remaining can be extended by passing through checkpoints in the 12 different sectors of the course. During your drive you can raise your score and combo level by successfully overtaking vehicles and passing through speed traps along the way. Be careful, any impact to the barriers or other cars will cause your combo to be lost. 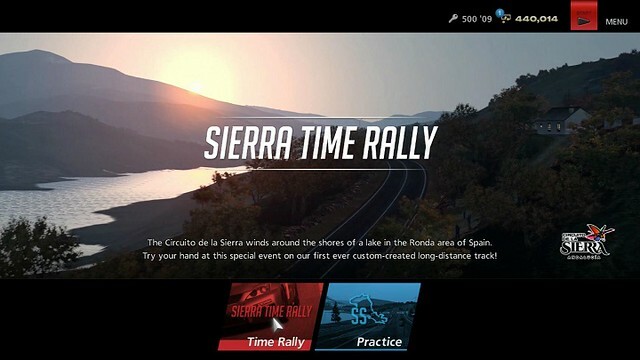 In addition to the new game mode, the Circuito de la Sierra track can be played in both offline single player and online race modes. 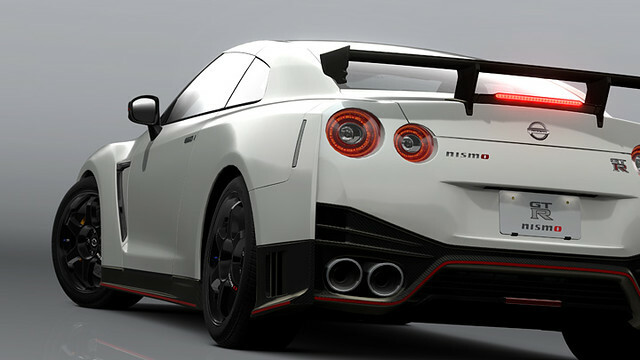 The GT-R NISMO is the ultimate articulation of the R35 GT-R. First released in 2007, Nissan engineers have been meticulously honing the GT-R's performance with each version of the car that has followed. This latest version has set the fastest volume production car record at the famous Nordschleife (North Course) on Germany's Nurburgring with a time of 7:08.679 with its retuned suspension, updated turbochargers and increased downforce. The new GT-R NISMO edition will be awarded as a free gift to everyone who participated in this year's GT Academy online event.